This is a comprehensive yet pocket-sized guidebook to the pilgrimage routes that lead through northern Spain to the sacred city of Santiago de Compostela. The Camino del Norte is an 817-kilometre five-week coastal route from the town of Irun, close to the French border. Its alternatives are the Camino Primitivo (which splits from the Norte near Oviedo for the next 355 kilometres) and the Camino Ingles (a five-day 116-kilometre route from the city of Ferrol on the north-west coast). The guide gives stage-by-stage descriptions to all three routes, and to the Camino de Finisterre (a three-day extension route from Santiago to the west coast). 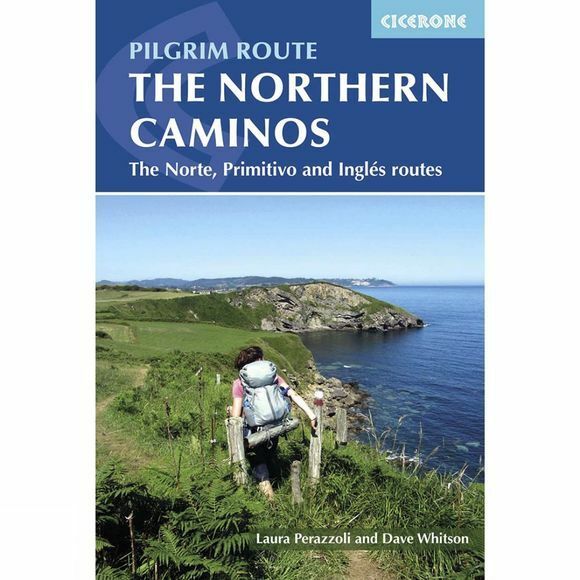 It features lots of advice including recommended gear, useful information on all available pilgrim hostels and an extensive glossary in English, Spanish and Euskara. The Camino Frances is often referred to as the Camino de Santiago, but it is actually, along with these Northern Caminos, part of a network of routes. As the Frances is so popular, however, the Northern Caminos offer ideal conditions. they are popular enough to offer sufficient facilities, clear waymarking and a pilgrim community, while plentiful cheap accommodation means no need to race for a bed.